Strolling magic for a fortune 100 company on a yacht in Newport Beach, CA. Cards coming from the mouth for a corporate event in Newport Beach, CA. Performance at The Yost theater in Santa Ana, CA. magicIAN on Tour with the dove and snake. Fan pictures right before the show in Huntington Beach. They are enjoying the strolling magic at the Rose Bowl in Pasadena, CA. Newspaper write up about shows performed by Disneyland and in LA. Newspaper write up about Theater performances in LA. The light show is stunning. This was recently performed for a city wide event in Long Beach, CA. 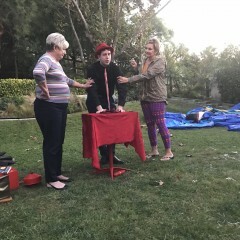 magicIAN on Tour in Los Angeles and Orange county. Chilling with David Copperfield in Las Vegas! School Fundraiser/Assembly show at Segerstrom high school in Santa Ana, CA. The levitating woman in the theatrical show! Performing the stage show a Segerstrom High school in Santa Ana, CA. Receives a standing ovation at Segerstrom High School in front of 1,000 students. Performance for a Father/daughter dance in Los Angeles, CA. Flag appearance from the Father/ Daughter dance in Los Angeles, CA. Fire magic is performed in Cerritos, CA. Woman levitating in the air. Appearing cards from a photoshoot in Tustin, CA. Performing at Foothill High school in Santa Ana, CA for 2,500 students. Levitating my assistant in the air at Foothill High School in Santa Ana, CA. Real doves magically transform into a real snake in the show. Audience very entertained in Redondo Beach, CA. Magic Castle member and performer! The MagicIAN Tour performs in the Disneyland Resort and for corporate events, schools and upscale birthday parties. He currently tours with his shows full time in so. Cal and Vegas with a large scale Vegas style illusion show and close-up magic. Limited booking dates still available for magicIAN so book his show while you can! He has over 250 verified Five Star reviews combined from GigSalad, google, and yelp so see what others are saying about him below. Magic Ian was the best magician we have ever seen. He kept all of our guests throughly entertained. His show was absolute MAGIC and magical. Recommend him highly!!! He kept the audience captivated the whole time! He’s professional and showed up on time. Great show, and I highly recommend him. Magic Ian is a very talented entertainer. He is fantastic at what he does, and is extremely professional while still being laid back and easy going. My only request for my 50th birthday was for myself and the guests to be "WOWed" and he absolutely delivered! Many thanks Ian! Not only did MagicIan, have an entertaining show, he surprised us with closeup magic with our guests at their tables before his show. Very professional and fun. To be honest I was really worried that this was going to be a miss for our party. It was for my baby’s 1st birthday which involved a lot of kids under the age of 5! But it was such a success! The kids thought everything Ian did was so funny and cool and guess what, the parents loved it even more. 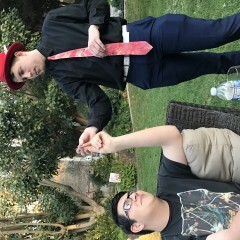 Everyone came up to me after the party raving how great the magician was and kept rmtryubg to figure how he did certain tricks! I’m so beyond thrilled that we booked Ian, money well spent. He is pleasant to work with and he even made customized balloons for every kid at the end of the show. We had a lot of special conditions and Ian was very easy to work with. The first fifteen minutes was unique the rest was more or less a regular show. Ian, was just amazing. His show was a big hit with all. Our group was composed of the older generation and he caught everyone's attention. I truly was amazed and believe in his magic. I can't wait to see what else he has up his sleeves. MagicIan was amazing to work with! He was able to work the crowd and really keep them all on their toes. He was also extremely professional to work with. We had a corporate event for high level CEOs and Executives and he was able to keep it professional but still keep them all guessing and wanting to know his secrets! I highly recommend him! 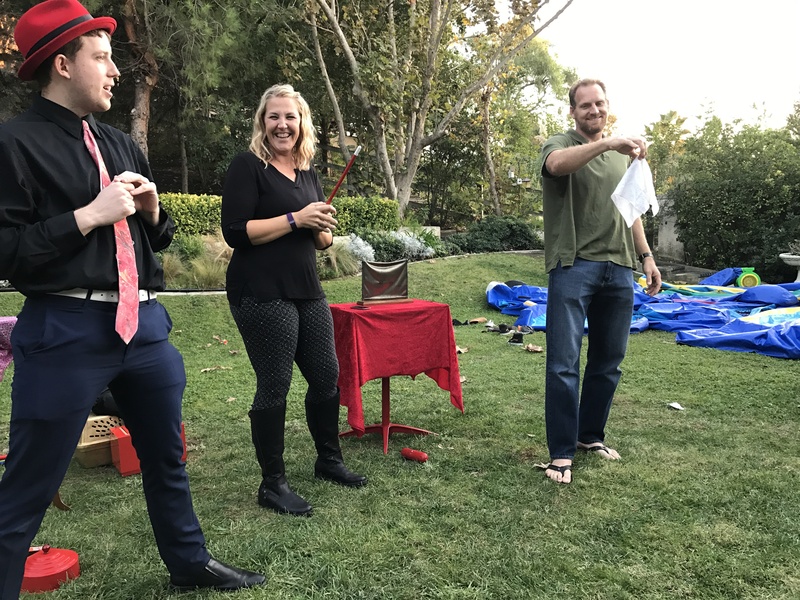 If you are looking for a good clean and professional magic act for your party or event, look no more. Ian was right on time, spent a few minutes talking to our guests and really entertained all my daughter friends and the adult audience!!! He got tricks for all ages and he kept his act very interactive!!! he got a nice van that reminds me of those magicians from the wild wild west era!! Everybody was pleased in general!! MagicIan was fantastic! If you are hosting a party or event, I would highly recommend him. He was very talented and extremely professional. MagicIan kept our guests entertained and interacting throughout our party. We couldn't be more grateful, as he agreed to perform on Thanksgiving. Ian was terrific! 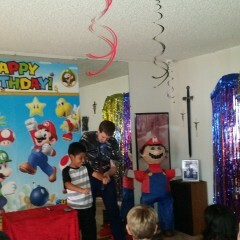 I got him for my son's birthday party and the kids loved the magic show but the adults had more fun than the kids! He interacted with everyone and was so funny. Everyone was very impressed with all his tricks and I would definitely hire him again. His one-on-one magic tricks were on point too! Thank you for making my party one of the best yet! Ian joined me today as we visited City of Hope in Duarte. The nature of our visit needed to be very fluid based on the guidance of those leading us through the facility to see the children. Ian was super flexible and highly entertaining for the kids. I would certainly recommend him. He entertained 70 people with humor and great magic!! Would definitely call him again! 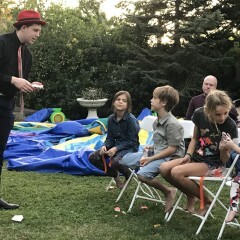 I hired MagicIan for my nieces 7th birthday. He was so funny and tricks were amazing. The kids really liked him. I think the adults liked him more. We're still trying to figure out how he did the wedding ring trick. All of my guest wanted his info for future events. I would hire him again. Also he arrived on time and was very professional. You Have to book him! MagicIan was awesome he answered all my questions I had. Children and adults we all had fantastic experience. My daughter was in awe that was the best thing ever. I would totally recommend to anyone looking for a magician. 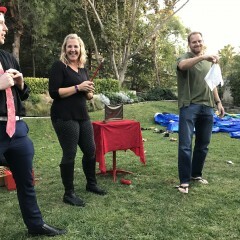 We booked magic-IAN for my 64th birthday party (I wanted a party that would be fun for 3 generations: us, our children, and grandchildren). I told IAN I didn't want a children's magic show or a strictly adult show as the ages were 7 - 75. He was AMAZING! His show was the best...absolutely a great choice! His personality, originality, enthusiasm, and magic ability made it a wonderful memory that the whole family is talking about. I loved that he involved each of the grandchildren (7-14 yrs) at some point to act as his assistant. Since all our adult children asked for his card after the show, I think he will be contacted to perform again for a party or school/work function by someone in our family. Our thanks to you magic-IAN for making my birthday a magical memory! Very entertaining show at the House of Blues restaurant in Hollywood. Ian performed a variety of tricks from floating objects to magic with doves, all while a live band played music in the background. Highly recommend for a private event. I highly recommend that anyone who has the opportunity to see MagicIAN they will not be disappointed. Great magic, smooth transitions and really quick witted humor as well. Especially awesome with card tricks that just make you say "wow, how did he do that?" Ian was professional from the start. He told me exactly what to expect and delivered just that. He allowed suggestions to accommodate my party and was willing and flexible. Down to earth and welcoming to our guests. Performance was breathtaking!! Ian was just wonderful. He really engaged all the guests and even stayed longer than scheduled so everyone had a chance to enjoy his up-close magic act. I'll be inviting him back again at the first opportunity! We had a family birthday party celebrating ages from 7 to 70. 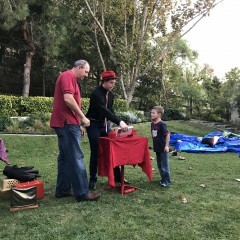 MagicIan's show had all generations entertained. He came from a fairly long distance but was punctual and well-organized. He not only knows his craft but he has a good sense of humor too. We felt his rate was definitely reasonable. He made the party a success. We were amazed by MagicIAN! We've hired magicIAN for several events. Each time, he has changed his show so it is not routine.His high quality acts have amazed children and adults alike. He is funny, entertaining and simply magical! I hired Ian to entertain about 50 guests at my 50th birthday party. From the moment he walked in he had the crowd mesmerized with his incredible magical talent! He managed to make sure that every single person got to see him do some sort of "how'd he do that" trick and still remains the talk of the party. By far Ian was the complete highlight of the night! I would definitely recommend hiring him for future events. Thanks again Ian!!! All our guests were amazed by this fantastic show! We were captivated and interested from the start which is really important for us. Thank you for your wonderful and splendid performance! I greatly recommend it for everyone! Ian was a treat to have at the party. Everyone was so impressed with his skills and how he interacted with people. I only wanted a strolling magician, and even though he has a staged show too, he was excellent at providing the perfect entertainment for our guests. Don't hesitate to give Ian a call if you want a magic party. Thanks Ian!! I booked Ian for my 45th Birthday and what a great decision that was! He was the star of my party! Fun, entertaining, family friendly magician! 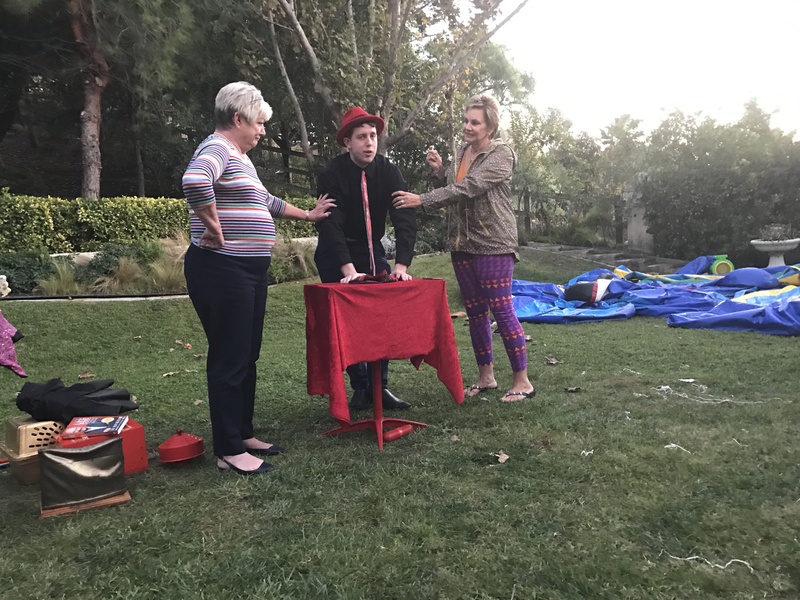 We had been searching for a magician to perform for our daughter's 13th birthday party. We were fortunate to come across Gigsalad during our initial search. This was the first time we had booked anything though this company. We were very pleased with magician Ian Galloway as well as the ease of booking through Gigsalad. Ian was terrific and did a fabulous job entertaining us at the party. He interacted great with every age group and was a delight. My daughter is still talking about it and the guests had a great time! During the booking process, Ian was a true professional and responded promptly to any question I may have had. I really appreciated his professionalism in this area. He arrived early and the show began at the stated time. I would highly recommend Magic Ian Galloway and would definitely book through Gigsalad again for any future event needs! Thanks again for a memorable event! WOW Entertaining for kids and adults! 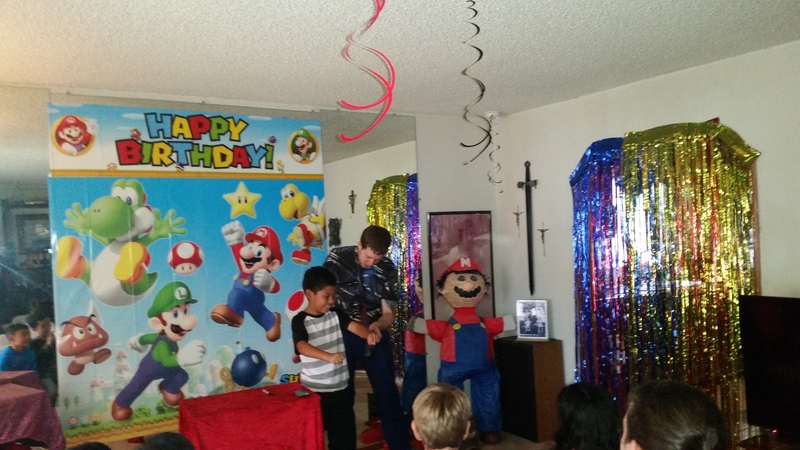 I got really lucky when I was able to get Ian to perform at my boys party, 6 and 8 Minecraft little maniacs. He incorporated Minecraft in his routine which my boys and the other 40 kids loved. I was not expecting such elaborate tricks, I heared oohs and aahhhs from the parents (about 40 of them too) as much as the kids! Ian was a HIT! I have video of my boys so entertained that my 8 year old was jumping up and down from anticipation and amazement, I kept having to tell him to calm down! lol My guests were sitting on the floor and all around him, so close I wondered if they were to figure out any of his tricks but Ian was such a pro he kept amazing everyone. 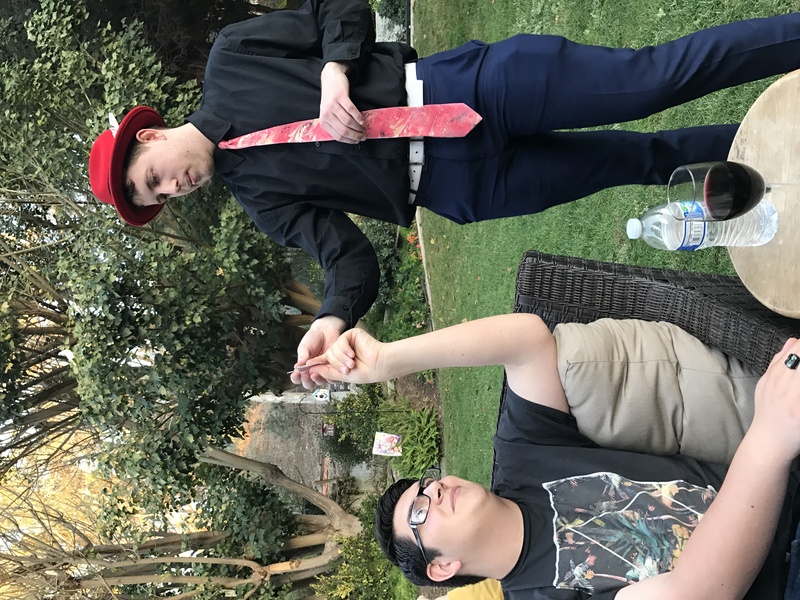 I was truly impressed, hands down his Magic show was the highlight of the party! Ian was fantastic at our corporate Christmas party. because of the laughter ,amazement and applause. My entire group were enthralled with Ian's performance at our annual Holiday Party. He went right to work going from table to table showing his skills at card tricks, bending metal keys and silver, and most amazingly at mind reading. Several have booked him for family events and we certainly want him back next year. The best and most professional entertainment we have ever had. He is very good! Ian performed at our adult Halloween party and he was wonderful! Very professional-arrived early to set up and was all ready to go when our guests arrived. He did strolling magic for an hour and then performed a half hour interactive show with our guests. He had a nice comedic sense and we all thoroughly enjoyed his magic! Would recommend him for any type of party. Very enjoyable and professional young man! Ian performed magic tricks at my fundraiser at Pechanga Resort & Casino. His tricks were amazing and his interaction with his audience was great. Everyone loved his performance! I highly recommend Ian to anyone looking for a magician at your next event! I will definitely hire Ian again! 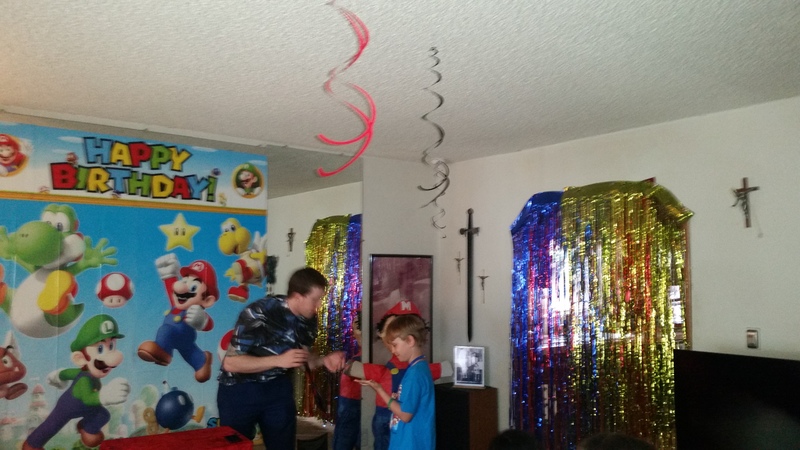 I hosted a birthday party for my 8-year old daughter and I was looking for a good magician. I was a little nervous to have someone that wasn't good at all and have all my daughters kids not satisfied. 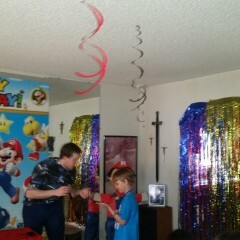 I was very pleasantly surprised with Ian, he showed some amazing magic tricks using cards, coins, candy and even a bird. 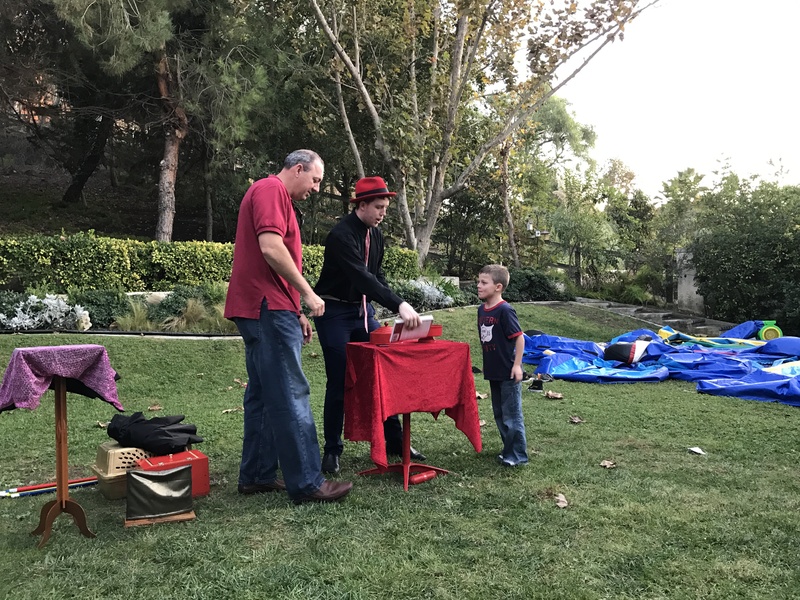 Not only the kids were happy and wondering how the magician was doing all the tricks, the parents were entertained and happy. I highly recommend Ian Galloway, he was very professional, showed up on time and delivered. What else can I ask? Ian Galloway help bring our theme "The Magic of Giving" to light. His performance was wonderful and very entertaining. We would recommend him very highly. Amazement, laughter, and entertainment are all words to describe my show. I will personally customize the show to your event however you want.Birthday Kids show: Have your birthday child be dazzled as I make candy appear in their hand and make a live animal appear in the finale. 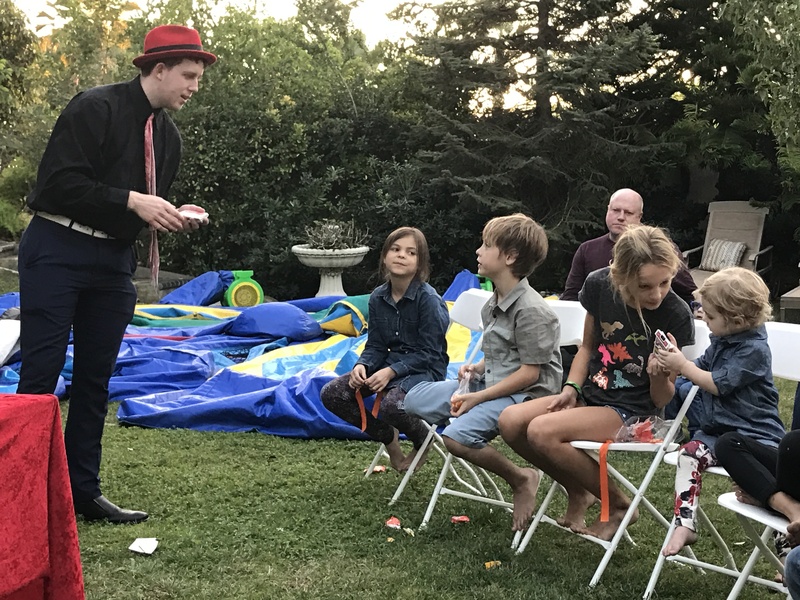 This is a moment that the birthday child will never forget.Corporate/ Adult show: Let me bring your event to life with amazing card tricks, mind reading tricks, and comedy. In the finale I levitate and make butterflies appear with fire. 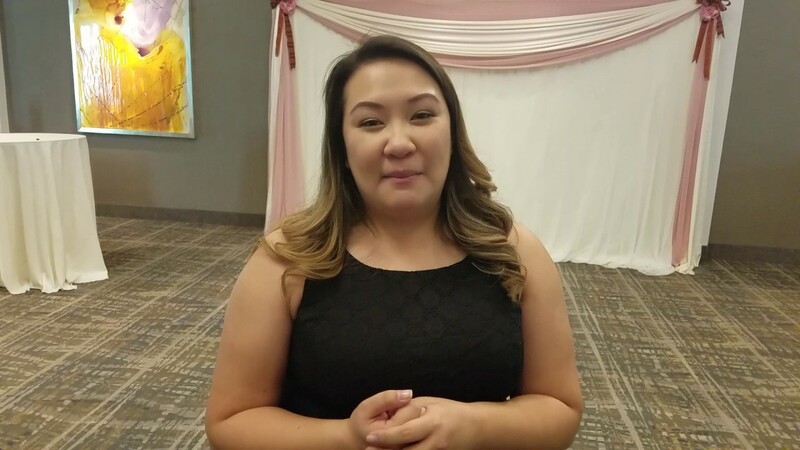 Customizable show: contact me and let me know if there are specific ideas you are looking for in a performance.I will be happy to bring your event to life and entertain your guests with amazement. Whether you are looking for a corporate entertainer, kids magician, stage/close-up magician, comedian, mind reading entertainer, or a fire performer, Magic IAN (Ian Galloway) does it all. He has been entertaining all types of audiences ranging from a few people to hundreds of people for several years now. Kids magic show: Magic Ian will warm the kids up with amazing card, coin tricks, and making items appear in the children's hands. He will focus on making the birthday child feel special by having them assist with a levitation and magically producing a live animal in the finale. This is the show to choose if you want your birthday child to feel special. Adult magic show: Watch Magic Ian demonstrate how magicians cheat in casinos using magic techniques and watch cards magically shift color. Also be amazed as a borrowed coin seems to bend in your own hand. Be mystified as he guesses a card someone merely thinks of. The finale includes Magic IAN reading your mind by guessing exactly what you are thinking of in an amazing feat. Fire Desire: This is Magic Ian's premium show filled with magic using the element of fire. Watch as he makes items disappear and appear in a flash of fire. Choose a card from a deck and Magic Ian will change the identity of the card by lighting it on fire. His finale is the production of a dove from a flare. You are in for a treat when you request him to perform this show.Ever since watching Lance Burton's magic show at the age of 14, Magic IAN (Ian Galloway) was doing magic and comedy. He started performing professionally at the age of 15 at the Magic Castle in Hollywood and for special events in his local city all the way to Las Vegas. 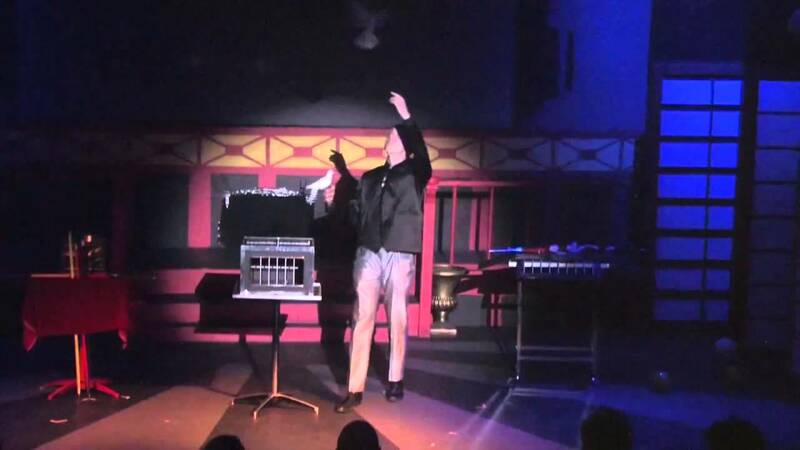 Allow him to please and astonish your guests with his illusions at your upcoming corporate event or private party. 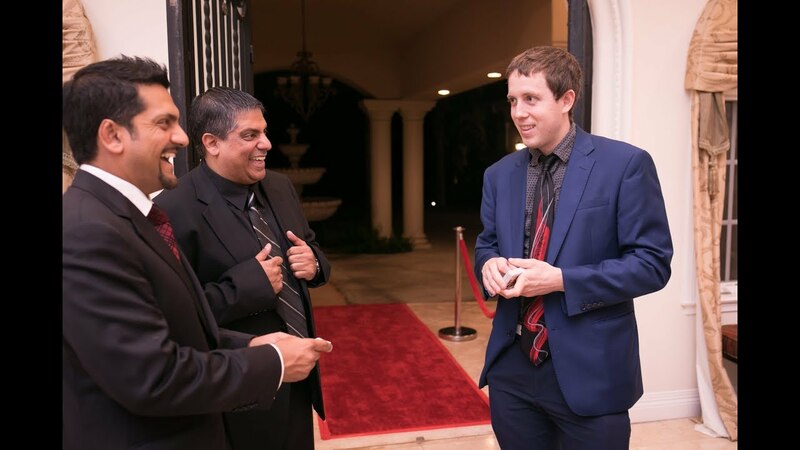 Hire Magic Ian and your guests are guaranteed to be amazed and entertained with comedy and magic. Please send a booking request through this profile for availability. For large scale theatrical settings, magicIAN would like to speak details about lighting, sound, and staging over the phone. Lance Burton, David Copperfield, and David Blaine have influenced my performance.